With the final season of Game of Thrones set to premiere in just under two weeks, fans are ready for the final battle to arrive. But a new promo poster suggests that surviving this war will come at a very high cost. The poster features a number of characters from the series. And the dead bodies recreate the iconic Iron Throne that everyone has been after since the series began. Some of the victims include Jon Snow, Arya Stark, and others fan favorites. Perhaps it’s a warning that even the beloved characters can still die before the end. This isn’t the first time that the show’s producers have shown a morbid side. 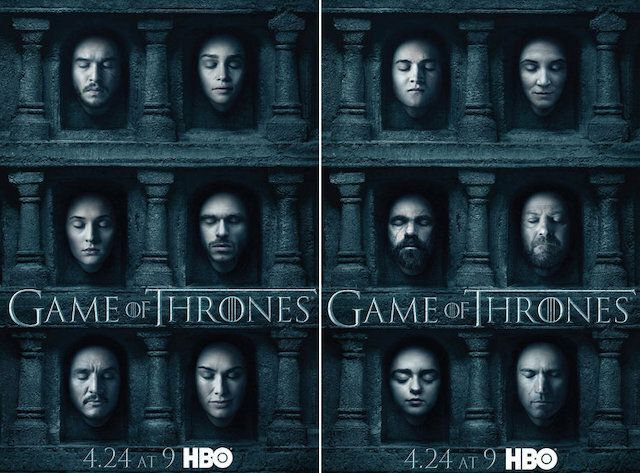 Back in 2016, HBO introduced a series of posters featuring the heads of various characters, with their eyes closed in the Faceless Men’s Hall of Faces. You can see those classic posters below. Earlier today, a series of new teasers showed up online, with potential hints at the future of Jon Snow. Another new promo video hints at an epic final battle that may eclipse anything else the show has ever done. Who will survive to claim the Iron Throne? We’ll find out soon enough. 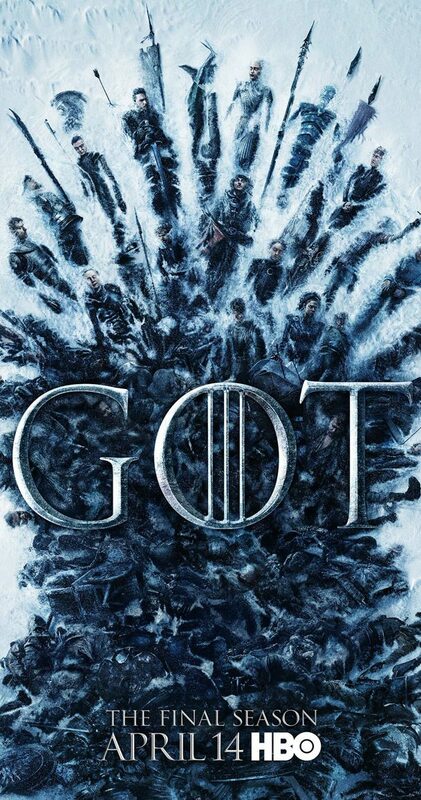 Game of Thrones’ final season starts on Sunday, April 14. 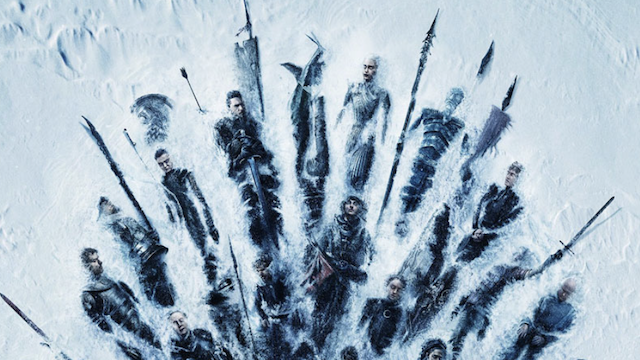 What do you think about the latest Game of Thrones season 8 poster? Let us know in the comment section below!